1. The car situation mentioned here is still not resolved. Husband and I went to a dealer the other weekend and we learned two things - that 0% financing will still not make a new car free, (sad, I know) and that according to the sales manager, my current vehicle will depreciate by $1600 in about 500 miles when it rolls over from 94,500 to 95,000 miles. This is according to a little book of car values that he looked at while talking to us, trying to convince us to trade in my car and go with the new, still too expensive for us, other car. Kbb.com does not confirm this drastic depreciation drop. We left soon after that bit of info was shared with us and haven't felt like looking at any cars since, new or used. 2. 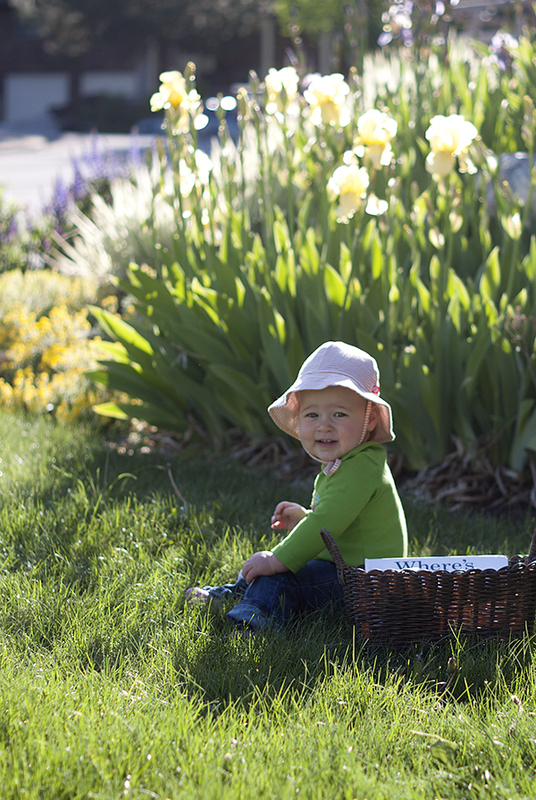 Amelia loves being outside. This is nice, since there is a lot of gardening to be done. Last summer I did minimal work outside since I was a little overwhelmed with how to feed and care for a newborn. This summer is already looking to be much better. 3. 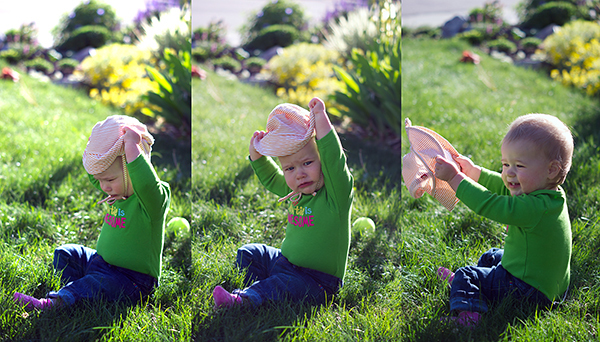 Amelia has not developed a lot for her sun hat, however. I keep forcing it on her because the sun here is harsh. If she wants to lay out in the sun when she is a teen, that's fine. She'll be old enough at that point that later in life when she's lamenting her wrinkles she can only blame herself. Until then, mom is forcing sun protection on her. 4. Pulling out the grill for the first time this year hopefully tonight or tomorrow. I'm trying a Vermont burger recipe that sounds so good. Hopefully I'll be sharing it soon. Until then, I'll leave you wondering what makes something a Vermont burger. Clue: it does not involve Ben & Jerry's. :) You are part of the way there.